WE completed several more upgrades to some components and systems in our TC recently. These are areas that we had identified for improvement after our 2014/2015 trip to the SE USA and wished to see finished prior to our next road trip. Here's what our dinette cushions looked like after about 200 days usage. The seat foam had flattened out considerably and was very uncomfortable to sit on for longer than a few minutes. The stitching was also starting to pull apart at the seam that runs the length of the seat on one of the cushions and from the appearance of the other, it wouldn't have been much longer before it would have begun to tear also. The fabric was also showing signs of 'pulls' in several places. LANCE, as a company should be ashamed to accept such poor quality materials and craftsmanship. We hired MORGAN UPHOLSTERY in Gananoque, Ontario to produce the new cushions and couldn't have been happier with the final results. We needed a location to store items that could get wet and dirty or that did not need to be accessed all the time. We've installed a cargo tray from CURT Manufacturing in the truck's rear receiver hitch. A large, weather resistant duffel, located in the cargo tray, contains: an 8 ton bottle jack, a 20000# / 30' tow strap with hooks, spare tire crank, our extend-able septic hose support, jack stands and wood blocking (used when the camper is off the truck), tire levelling pads, and a bag of firewood kindling. We also have additional room for (2) 10 litre fuel jugs and our second set of Thule bars (used on truck when camper is off). I am able to easily kneel between the truck and camper rear bumpers to access items. The rear departure angle has been compromised somewhat, but the cargo rack is still higher than the truck's belly-mounted, spare tire. Large dimension rear mud-flaps and a plywood base in the cargo rack protect anything stored there from road and tire spray/debris. The cargo tray has a 6" frame all around to contain equipment but I also secure items with a ratchet strap run lengthwise. Turnbuckles attached from the 2 inside corners of the tray to the truck's class V receiver hitch inhibit movement while travelling. We've added 3 new devices to our electronics kit. We'll now be using a ROGERS ZTE MF271 LTE Rocket Hub for Wifi service in Canada, similar to the VERIZON hotspot that we use in the USA. 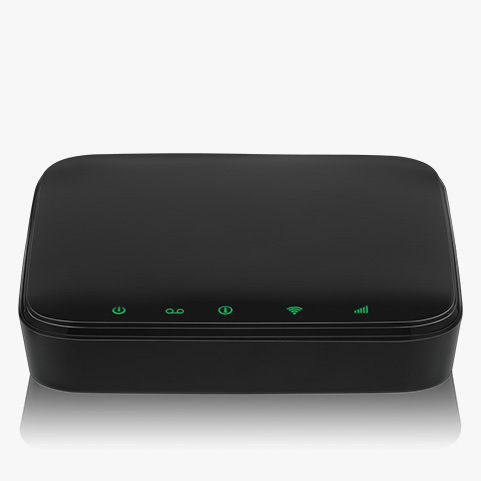 This mobile hotspot enables ultra-fast internet access for laptops, printers, tablets, smartphones and with typical download speeds of up to 50Mbps. We rely on each of these hotspot services for consistent, daily news and communications while travelling ... road construction, traffic, weather forecasting, shopping, camping, etc. 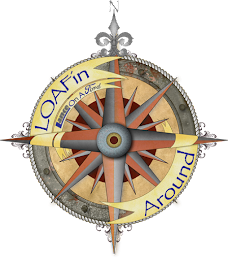 Searching out and utilizing or depending on libraries, coffee shops, neighbours WiFi connections, restaurants or other peoples homes etc. for free internet access is not an option for us .. this is just the cost of of our travel! 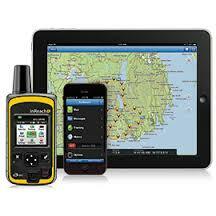 The DELORME InReach SE can both send and receive text messages anywhere on Earth. Off gird and out of cell range, we can quickly and easily be in contact with family and friends, let them ping and message us and receive delivery confirmation. The system uses the Iridium Satellite network with 100% global coverage. In an emergency we can trigger an SOS, receive delivery confirmation and have 2-way text conversation with the SAR monitoring centre before help arrives. This device will also eliminate the requirement that our paddling group has for renting Satellite Phones for some of our canoeing expeditions. 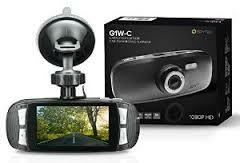 A SPY TEC G1W-C Dash Cam/Video Recorder. Utilizes a capacitor instead of a battery, 1080p video quality, audio and visual recording, immediate playback and screening, 64GB storage. The manufacturer supplied enough 12v wiring to allow me to hide most of the electrical connection behind the truck's trim panels.